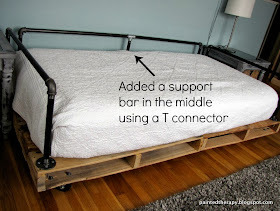 What a great idea for pallets, so versatile. 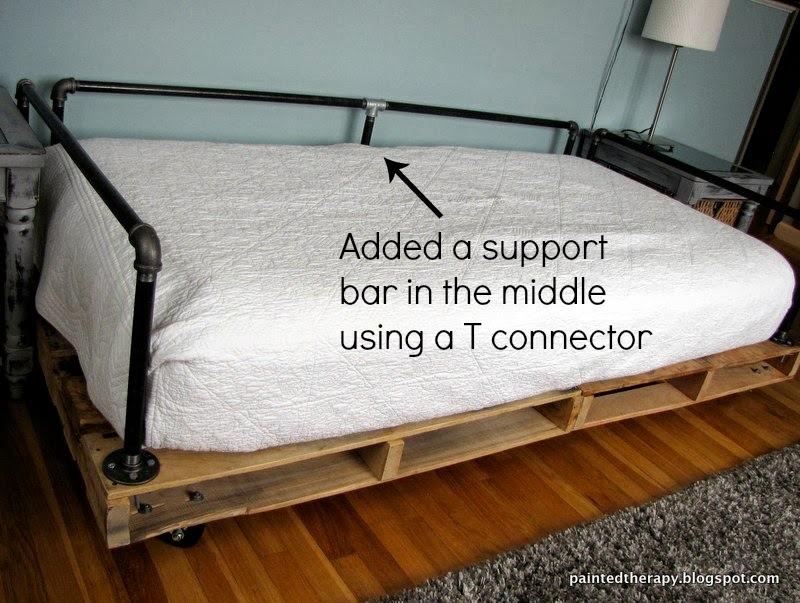 Love this bed. Super cool! This industrial look is so cool. Found you via the DIY dreamer. Oh how cool! Love the industrial vibe! 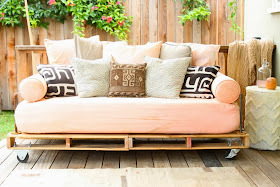 This is a gorgeous daybed! I might just have to make one myself, I love it so much! Is it easy to move around? thanks for the tips on the backboard!! Did you need to add any extra support to the center of the frame?